Happy Father's Day to those father's who always care and work for their children's healthy future. Fathers Day is a special day celebrated all over the world to thanks Fathers for their hard work and their dedication to their families. It is also a day to remember the role that father’s play in all of our lives. We celebrate this day by giving them a special gift. But I think these gifts are not enough for fathers. When fathers were known by the name of his child that was the appropriate gifts for fathers. Fathers day is celebrated in different countries on different dates but a majority of countries celebrate this day on the third Sunday of June. there are exceptions to that rule. It is celebrated on the first Sunday of June in Lithuania and Switzerland and is celebrated on the second Sunday of June in Belgium and Austria. 0n December 6, 1907, Father’s Day had its first observance in Fairmont, W.V while Grace Golden Clayton was holding a service memorializing her late father at Williams Memorial Methodist Episcopal Church. At the same time the service was going on, an explosion occurred at the Monongah Mines killing over 360 men, of which over 249 of them were fathers. Grace then recommended to her pastor that he honor the loss of all of these father’s. There wasn’t an official observance of it until July of 1910 when the Governor of Washington State declared the first-day honoring male parents. It was then another fifty-eight years before it officially became a holiday in 1972 when President Richard Nixon declared it a national observance holiday. 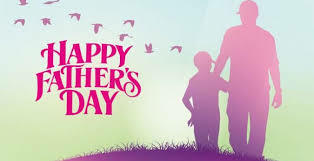 Most of us celebrate the Special Day by giving their father a special day of their own that often includes gifts, breakfast served to him in bed and by giving him time to himself. Other people treat the day as a family event and use it as an opportunity to get everyone together. But a few children keep the promise to work honestly for getting fathers to dream in a limited time.